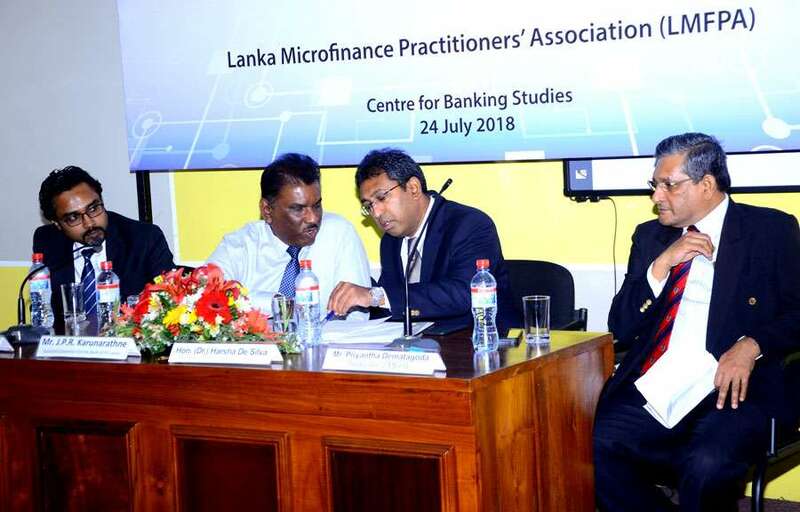 The Lanka Microfinance Practitioners’ Association (LMFPA) yesterday called for government intervention to formulate a national micro credit policy framework to regulate over 1000 micro finance businesses as concerns over indebtedness caused by microfinance companies comes under spotlight. Addressing the launch event of a code of conduct for microfinance practitioners yesterday, in Colombo, LMFPA President Imran Nafeer said intervention of the policy makers is a must in the microfinance sector in the present context. “We have various types of institutions practicing micro credit, regulated or unregulated. We solely believe these institutions need to be regulated and need to come under one national policy framework,” he said. LMFPA aims to self-regulate its 76 members through the code of conduct, particularly avoiding over indebtedness, maintaining transparency, promoting good recovery practices and maintaining healthy competition. Nafeer noted that an independent board would investigate the complaints lodged against its members and will take punitive action against errant members by terminating their membership if they continue to breach the code of conduct and same will be advertised in print media to inform the public. Addressing the gathering, the State Minister of National Policies and Economic Affairs Dr. Harsha de Silva who was the chief guest at the launch event agreed with Nafeer’s sentiments stressed the need for “some regulatory mechanism,” to avoid the creation of loan sharks. Nafeer also urged the government to implement the Micro Finance Act of 2016, which was enacted in 2016 but yet to be implemented. The state minister said certain microfinance practitioners in Northern Province have been reportedly charging from 40 percent to as much as 200 percent interest on loans, which has resulted in widespread indebtedness of the people in that province. He said certain individuals pretending to be microfinance entities have been lending to people in this province for consumption-driven purposes. Hence, Dr. de Silva stressed that there should be a proper definition what a micro-finance company should be. “There are imposters, people who are pretending to be microfinance companies, carrying out business that looks like a microfinance company and charging usurious rates and putting people in trouble,” he said. LMFPA officials also agreed that a proper definition of microfinance is needed while pointing out that even some leading banks in the country are in the practice of extending microcredit to consumption-driven purposes. Speaking further on regulating microfinance industry, Dr.de Silva highlighted that there is no clear authority to regulate the industry, as the Central Bank’s job is to safeguard the depositors of the microfinance industry while ensuring the financial stability. However, he pointed out that the problem in microfinance is not about the depositor, but about the borrower. The Central Bank Assistant Governor, J.P.R. Karunaratne opined that the microfinance sector should be self regulated and stressed that the Central Bank does not want to impose interest rate caps and other regulations on microfinance companies. However, he pointed out that the government would be forced to regulate the industry, if the industry fails to self-regulate. Karunaratne said the Central Bank would continue to ensure financial stability of microfinance industry while noting that only one microfinance firm has been qualified for the Central Bank licencing out of the 11 applications while 5 applications are currently under evaluation. State Minister Dr.de Silva proposed that Sri Lanka’s microfinance model needs to be re-evaluated as several recent researches had indicated that the role of micro finance in eradicating poverty was insignificant. However, he acknowledged that microfinance has become one of the easiest ways for entrepreneurs to acquire credit without collateral as the established banks tend to lend to “established people” on collateral rather than providing credits to entrepreneurs based on their business proposals. The government has allocated Rs.500 million to write off loans taken by rural women in drought affected areas, mostly from microfinance companies. The Cabinet on the recommendation of Finance and Mass Media Minister Mangala Samaraweera has decided to write off the non-consumption loans granted up to Rs.100, 000 to women by all registered finance companies. Further, the government has also decided to introduce an interest rate cap of 30 percent per annum on all future loans given by microfinance companies. “This scheme of relief initially will be limited to women who have obtained micro finance loans for non-consumption purposes in the drought-affected districts,” a Finance and Mass Media Ministry communiqué said. The twelve drought-affected districts are: Trincomalee, Ampara, Batticaloa, Jaffna, Mullaitivu, Kilinochchi, Vavuniya, Mannar, Kurunegala, Puttalam, Anuradhapura and Polonnaruwa. 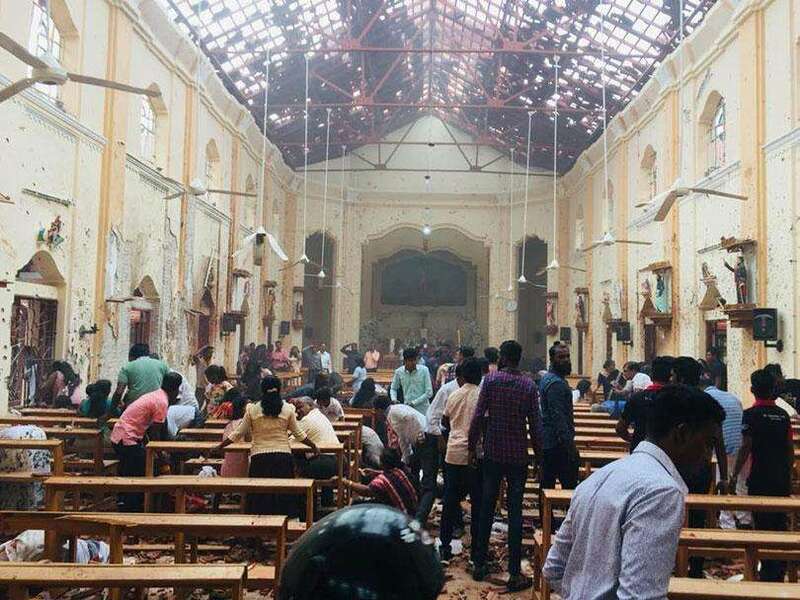 Minister Samaraweera said women who obtained such loans amounting to Rs 100,000 and below can apply for a complete write off of the interest and the capital payment. The General Treasury will reimburse the loss incurred by microfinance companies for having written off the capital component. The micro finance companies will however have to absorb the interest component of the loan written off. The persons who are benefitted by this debt relief programme will be included on a priority basis to provide new loan facilities from the interest subsidy loan scheme launched under the Enterprise Sri Lanka programme with a maximum of two-year grace period. Further, they will also be given priority under the government’s subsidised programmes and other rural livelihood schemes implemented through co-operative societies as envisaged in the 2018 budget. The Finance Ministry said microfinance institutions are currently providing micro loans without collateral through a door-to-door strategy of high interest rate loans amounting to 40 to 220 percent per annum for women seeking economic activities and income generation sources. Meanwhile, Speaking to Mirror Business, LMFPA, Treasurer, Priyantha Dematagoda said LMFPA is currently working with the Finance and Mass Media Ministry and Credit Information Bureau (CRIB) to establish a credit database of microfinance customers. He said there are about 4 million microfinance customers in Sri Lanka equivalent to banking sector customers, and credit data of these customers must be captured in order to avoid granting multiple loans to them. Dematagoda noted that as CRIB is partly owned by banks and finance companies, initially there will be some concerns over the confidentiality of microfinance customer data. However, he noted that LMFPA is currently working with the ministry to resolve the matter.